Linda Grant of Yarmouth is a hard-working, dedicated, and tireless volunteer. She came to Yarmouth in 1996 and within the span of a few months, joined the Yarmouth Village Improvement Society (VIS) and was asked to serve as Chair of the Preservation Committee. Today, Linda continues to serve as chair of the committee, where her duties include overseeing the ongoing maintenance and preservation of the Grand Trunk Railroad Station and the Old Baptist Meeting House, seen here. 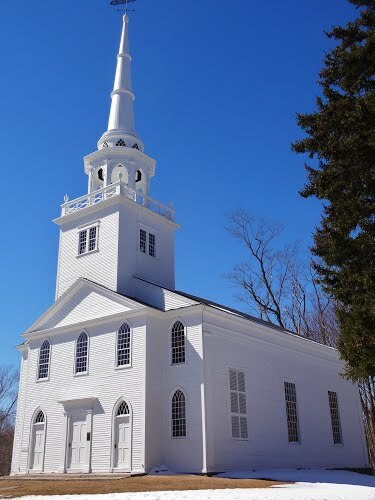 Constructed in 1796, the Old Meeting House was commissioned as a Baptist church and used for more than 100 years. In 1910, the Meeting House was donated to the town and used for town meetings until 1946, when the Village Improvement Society assumed responsibility for its maintenance. The 1906 Grand Trunk railroad building was purchased by the Yarmouth VIS in 1946 to save it from demolition after the railroad ceased providing passenger service. 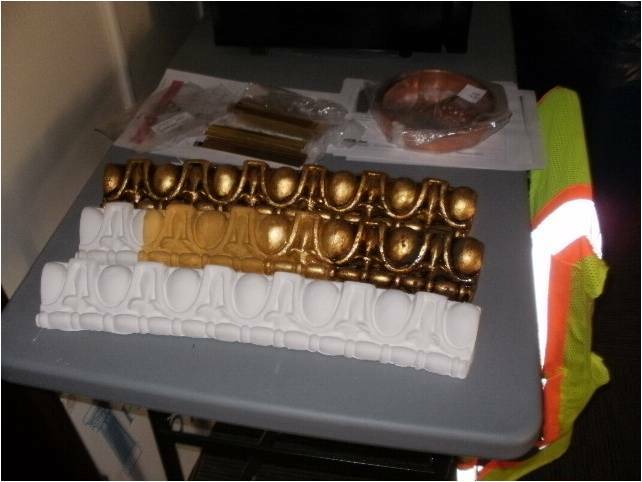 During the VIS-funded rehabilitation of the station in 2007 and 2012, Linda’s research of original building materials and construction methods assured historical accuracy. During a recent site visit, Maine Preservation Field Services Expert, Chris Closs, noted that “it is the best preserved Grand Trunk Railroad depot in the state.” Today the building retains its original design and character while housing Village Florist & Company. In her VIS role Linda has solicited contractors, reviewed bids, and managed projects totaling more than $100,000 over a dozen years. Linda has been a VIS “committee-of-one” preserving two of Yarmouth’s most valuable architectural treasures. 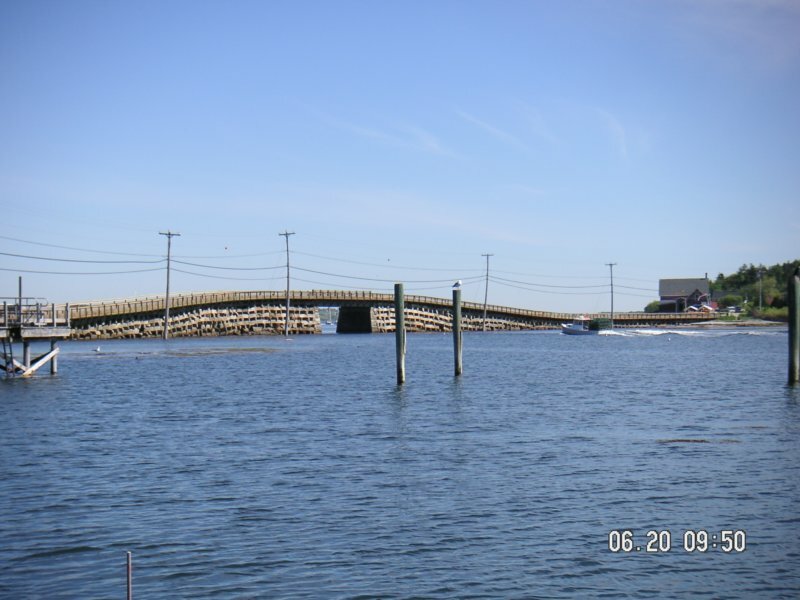 In addition, she volunteered countless hours to help design a Town Comprehensive Plan that protects the historic village of Yarmouth while planning for its future, and she worked on the Yarmouth Gateways Project from 2006 through 2009. She served on the Royal River Corridor study in 2008 and chaired the 2011 project for the Royal River Park’s interpretive signs. 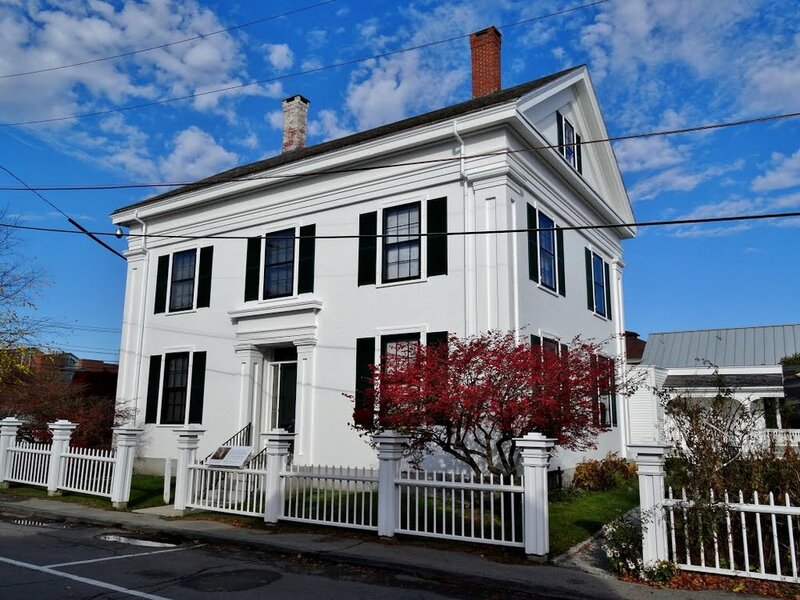 Linda was Chair of the Yarmouth Historical Society Board during the recent renovation of the former Water Company building, a project which resulted in the new Yarmouth History Center on East Elm Street. She has also chaired the historical society’s house tours. For her many years of dedicated service, in a variety of roles, to the preservation of Yarmouth's historic buildings, Maine Preservation is pleased to present Linda Grant with a 2014 Honor Award for Outstanding Service. In 2013, the Georges River Land Trust was in the process of acquiring portions of the Robbins-Anderson Farm, a parcel of more than 200 acres located in South Thomaston. 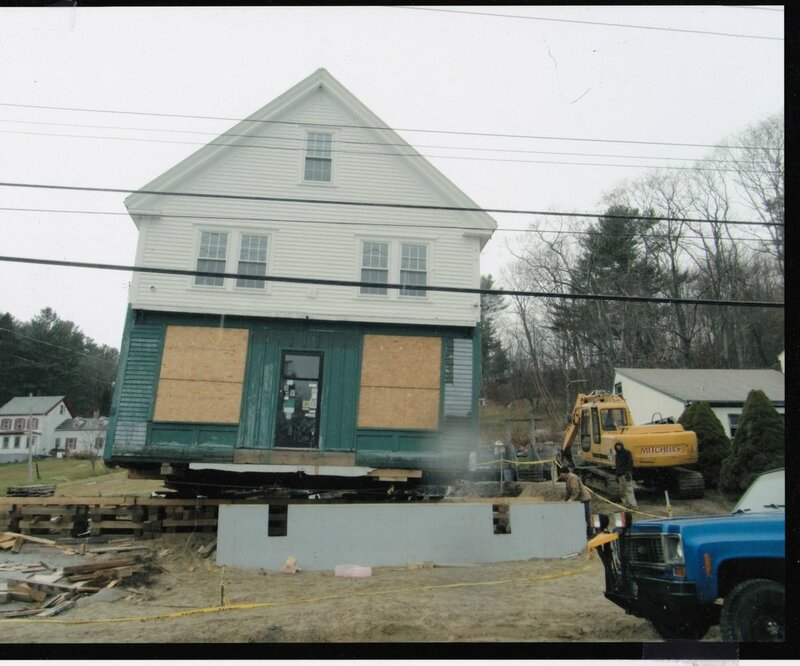 When Maine Preservation learned that demolition of the historic farmhouse on the property was a possibility, we offered to consult on the property. We discovered that the house was built about 1795 by the Isaac Robbins family, on land they purchased as the first settlers in South Thomaston thirty years earlier. The Robbins owned the property for more than 100 years. 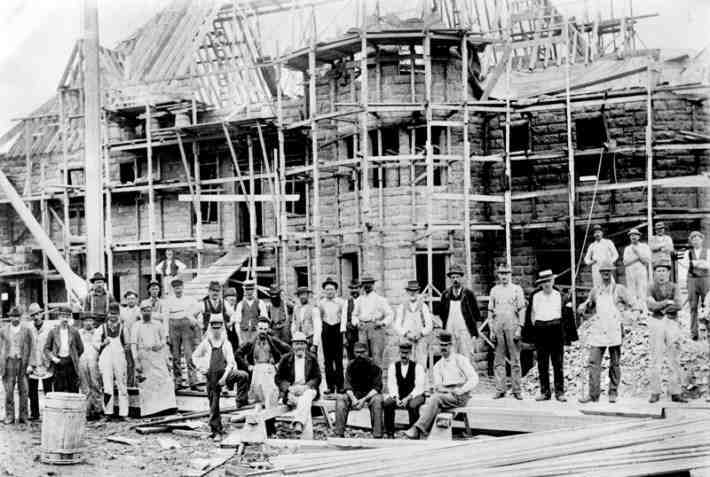 The house was subsequently altered about 150 years ago with removal of the central chimney installation of a staircase, and replacement of the windows with 6 over 6 sashes. Synthetic siding and roofing were added more recently. 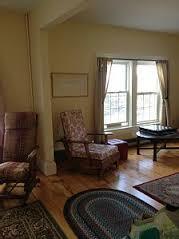 But otherwise the historic interior of the house is remarkably intact. Maine Preservation requested and received an option-to-purchase the house and 5 acres from the Anderson family, owners since 1900, in order to market it for resale. 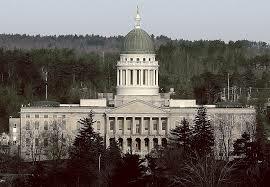 With this option, Maine Preservation listed the house with agent Cindy Lang of Sotheby’s Realty. Adjoining the house was the overgrown, neglected apple orchard. Annette Naegel of Georges River Land Trust suggested a pruner and, at our request, asked Jacob DiGirolamo if he might volunteer his time to restore the orchard. Jacob agreed to take on the task to, quote, “bring the trees a little closer to something that might be called management,” unquote. 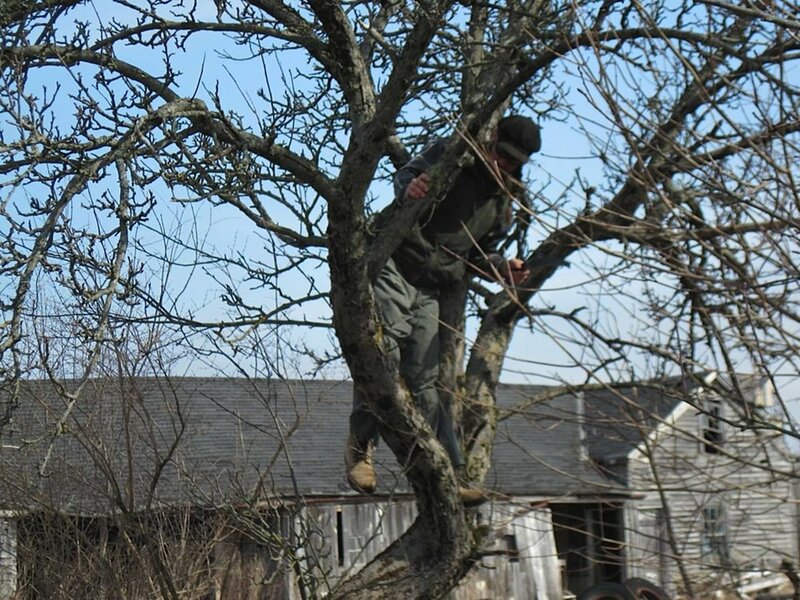 Jacob carefully pruned the old trees and one result was bumper crop of apples in the fall. Another result is that Maine Preservation has found a buyer for the property, former Rockland Honor Award winner Rick Rockwell. Rick plans to transform the house, outbuildings and barn foundation into a gallery for artists, craftspeople and sculptors from the St. George peninsula, many of whom can no longer afford to show their work in Rockland’s upscale galleries. For his volunteer work that helped restore and orchard and make the adjoining farmstead saleable, Maine Preservation is please to recognize Jacob DiGirolamo with a 2014 Honor Award as an Outstanding Volunteer. The Farnsworth Homestead was built in 1850 for Rockland businessman William Alden Farnsworth and is listed in the National Register of Historic Places. The elegant two-story, twelve-room Greek Revival structure was home to his wife and six children including Lucy Copeland Farnsworth, whose bequest upon her death in 1935 at the age of 97 founded the Farnsworth Art Museum. The house was virtually unchanged from the time of William’s death in 1876, and many of its original furnishings – wallpapers, carpets, curtains, and other items for everyday use remain, including gas lighting fixtures, a state-of-the-art coal-fired hot water heater, and plumbing fixtures. Lucy Farnsworth stipulated in her will that her home be open to the public, and required that it should remain as it was when occupied by her family. Exhibiting great foresight, she believed that preservation of the homestead, which was already historic during her lifetime, would be of educational value to the public. 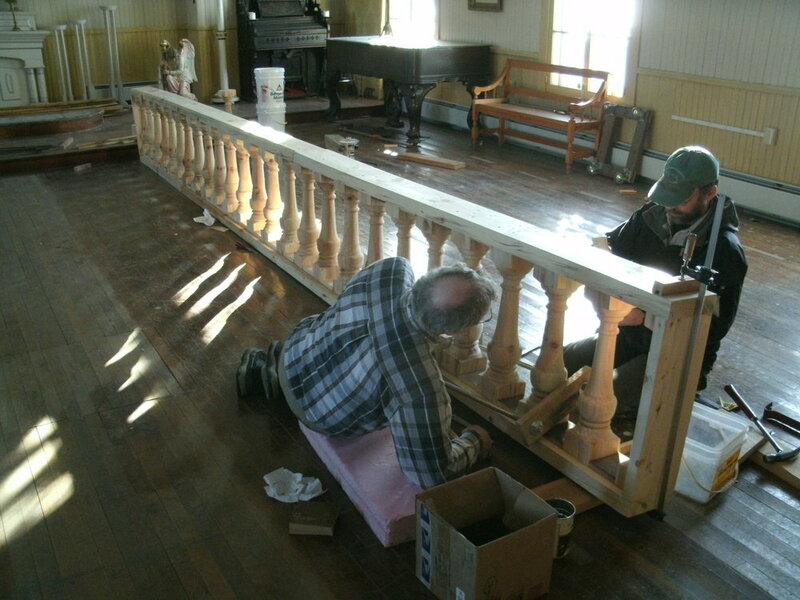 In 2011, the museum began the first phase of a multi-year restoration and interpretation project at the Homestead. 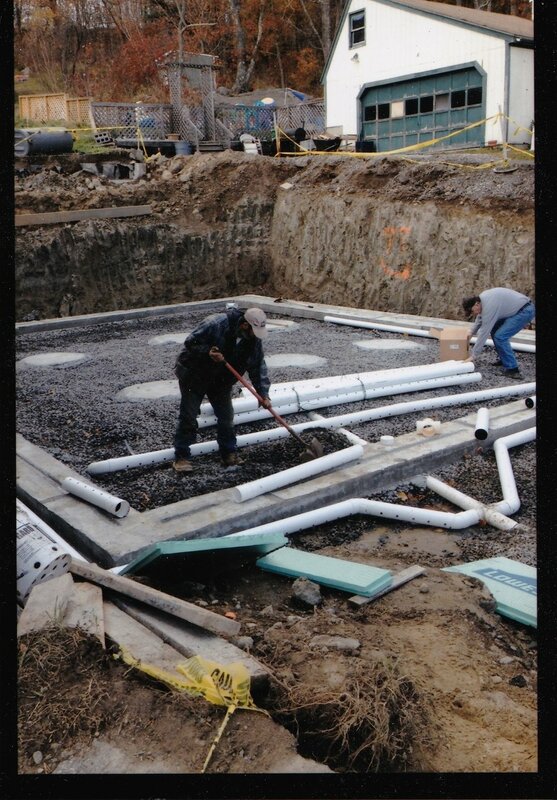 A comprehensive mold remediation treatment was carried out in the basement by Air Quality Management Services, Inc. of Gray, Maine. 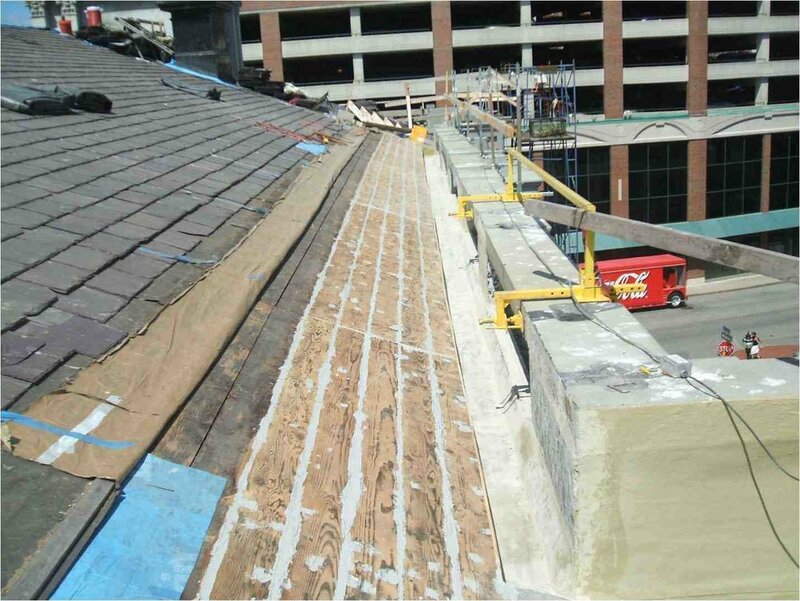 McElreavy Roofing of Warren, Maine replaced the asphalt roof with Class B fire retardant treated red cedar shingles, replicating the materials and dimensions of the original roof. In spring and summer 2013, North American Painting Company repainted the exterior. 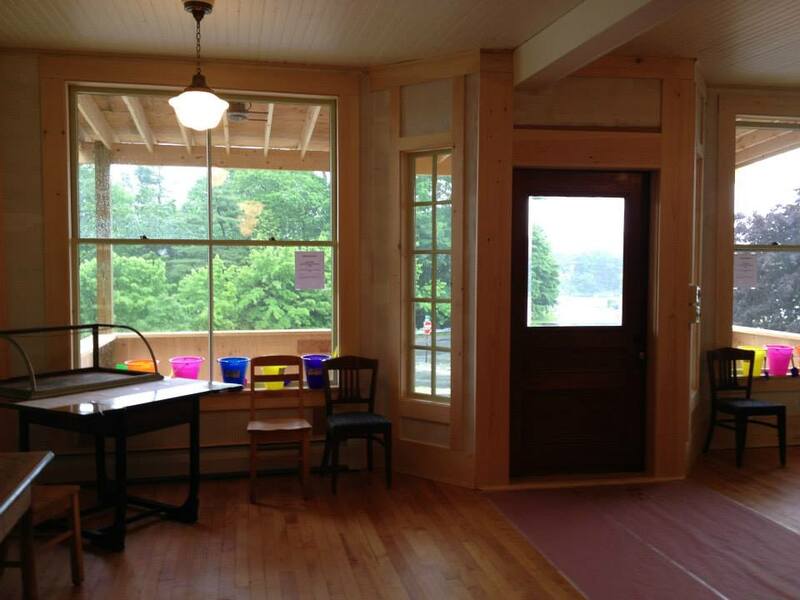 All previous paint layers were removed, and Aaron Sturgis of Preservation Timber Framing [a member of the board of Maine Preservation], removed and replaced damaged siding. Preservation architects Jill and Robert Burley of The Burley Partnership examined the interior finishes and coverings, along with textile conservator, Camille Breeze. Their work was funded in part by a grant from the Cynthia Woods Mitchell Fund of the National Trust for Historic Preservation. 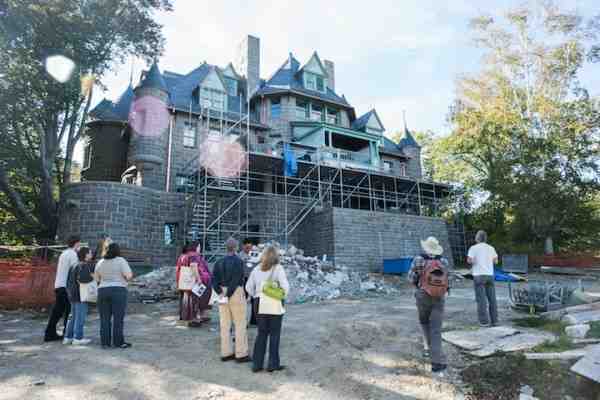 Chief Curator Michael Komanecky and Assistant Curator Jane Bianco led a thorough inventory of the house’s contents. David Barquist, Curator of American Decorative Arts at the Philadelphia Museum of Art, was hired to help develop a more historically accurate furnishing plan. Historic carpet specialist John R. Burrows of Rockland, Massachusetts was hired to advise on Homestead carpets and painting conservator Nina Roth-Wells of Georgetown, Maine exposed and cleaned an original c. 1850 oilcloth discovered beneath 1870s carpeting in the entry hall. The Homestead is back open to the public. The exterior closely replicates the home the Farnsworths moved into in 1850, while the interior reveals a more historically accurate furnishing plan, with only objects associated with the family on view. In addition, the Carriage House has been included in public tours for the first time and tour guides have expanded their interpretation based on a revamped, extensive training program. For their outstanding and careful work and commitment to restoring the Farnsworth Homestead, Maine Preservation is pleased to present the Farnsworth Art Museum and the Homestead project team with a 2014 Honor Award for Restoration. Located near Portland's waterfront, the U.S. Custom House is a testament to the city's maritime history. It was built to accommodate the city's growing customs business, which, by 1866, was collecting $900,000 annually in duties - making Portland one of the most significant seaports in the country. Completed under the direction of Supervising Architect of the Treasury, Alfred B. Mullett, the building was constructed between 1867 and 1872, and combined elements of the Second Empire and Renaissance Revival styles. 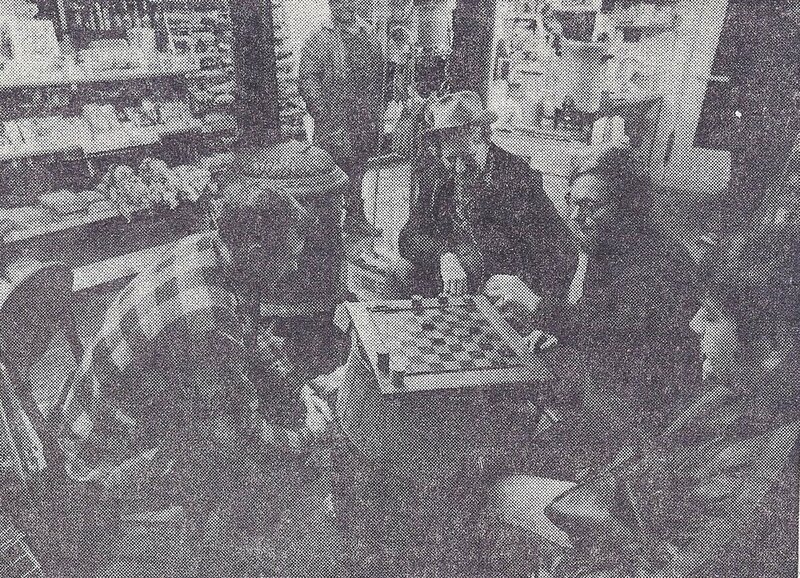 It was listed on the National Register of Historic Places in 1973. 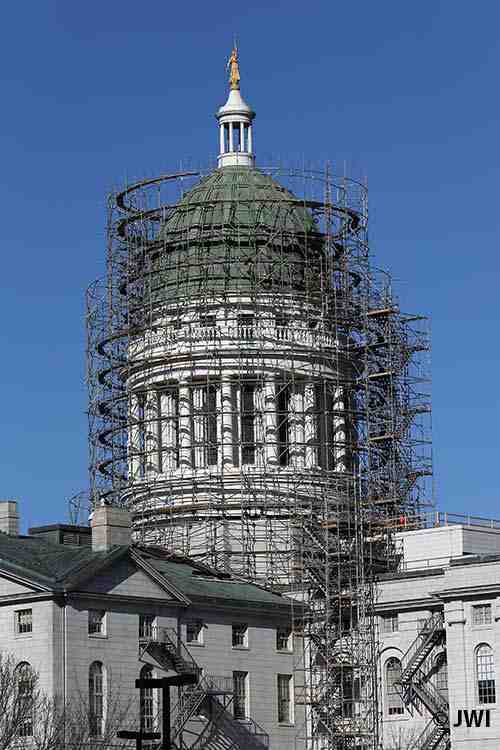 In response to chunks of plaster falling from the ceiling, the General Services Administration (GSA) had recently provided emergency repairs to both the interior historic lime plaster and the exterior masonry. 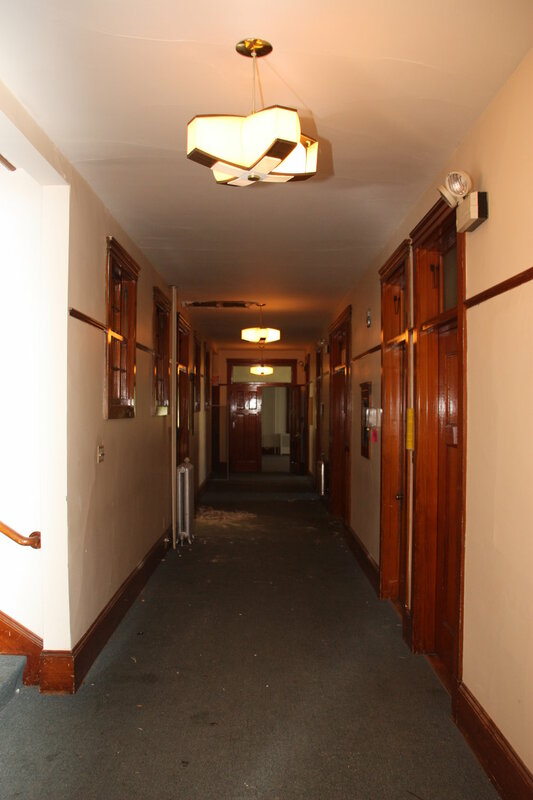 Following on these recent emergency repairs, GSA planned the rehabilitation of the envelope of the building in order to ensure long-term stability, while also repairing the damaged interior wall plaster. Masonry restoration included the repointing of the Fore Street elevation, cupolas, and the entire roof top balustrade, as well as the ground and first floor level of all facades. 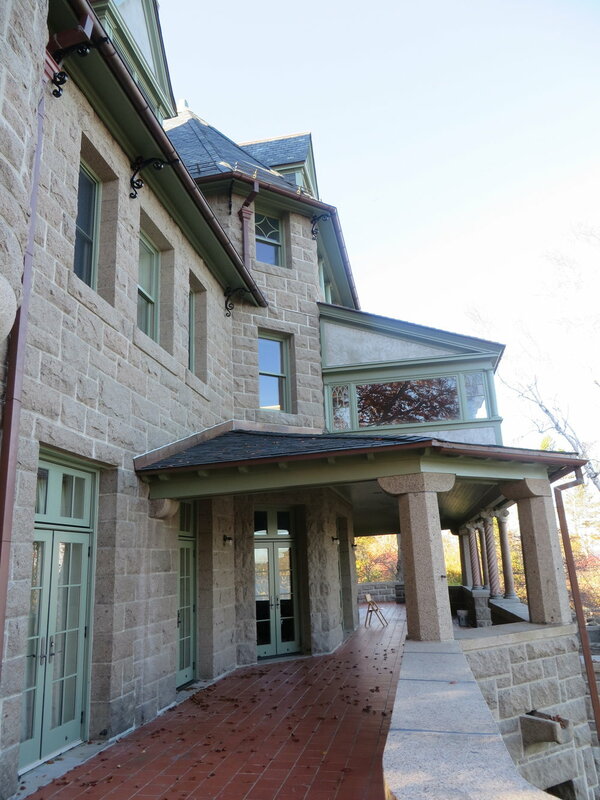 Second floor window granite balusters were removed, repaired and reinstalled, and cracked granite repaired. The masonry was also cleaned and lead ‘T’ joint covers were provided at repointed masonry. 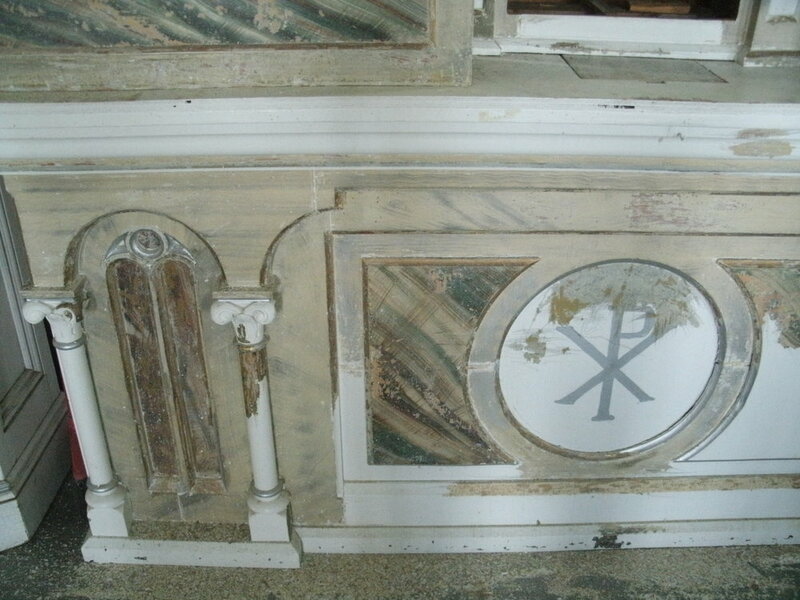 Historic wood windows were removed, restored, reglazed and repainted. Additionally, damaged interior plaster surfaces were repaired. The result is a substantial extension of this significant building’s useful life. 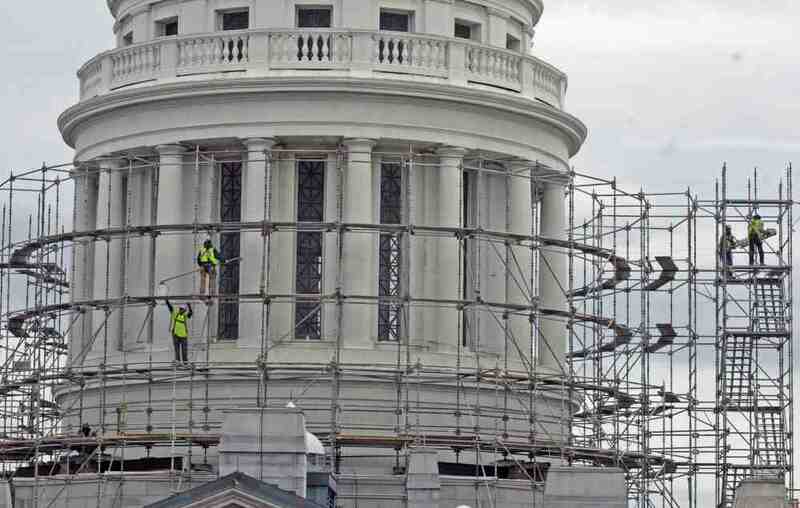 This project not only restored the Portland Custom House to provide continued use by the Federal Government, but also provided the opportunity to open the building to the public so that residents and visitors can appreciate the magnificent architecture and reconnect Portland to the maritime past. 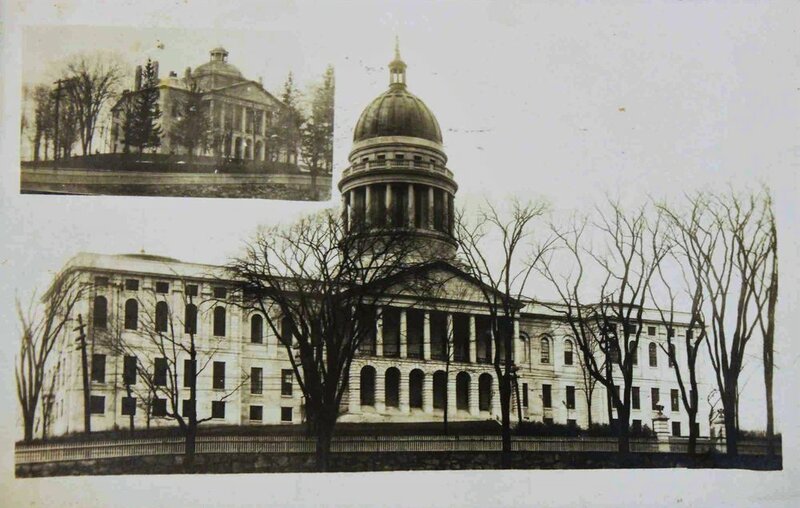 For outstanding work and dedication to historical accuracy, Maine Preservation is please to present the General Services Administration and its U.S. Custom House project team with a 2014 Honor Award for Restoration. 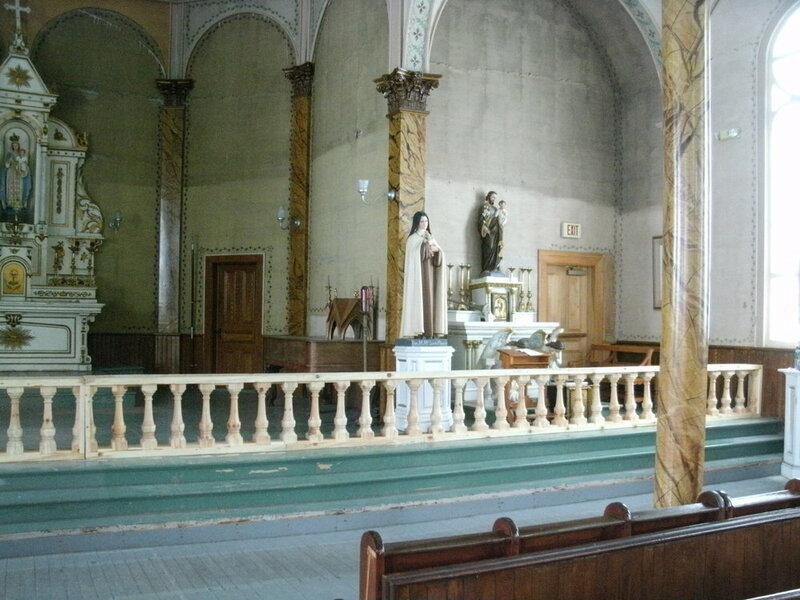 The St. Hyacinth School and Convent was built by the Catholic Church in in the Frenchtown neighborhood of Westbrook. 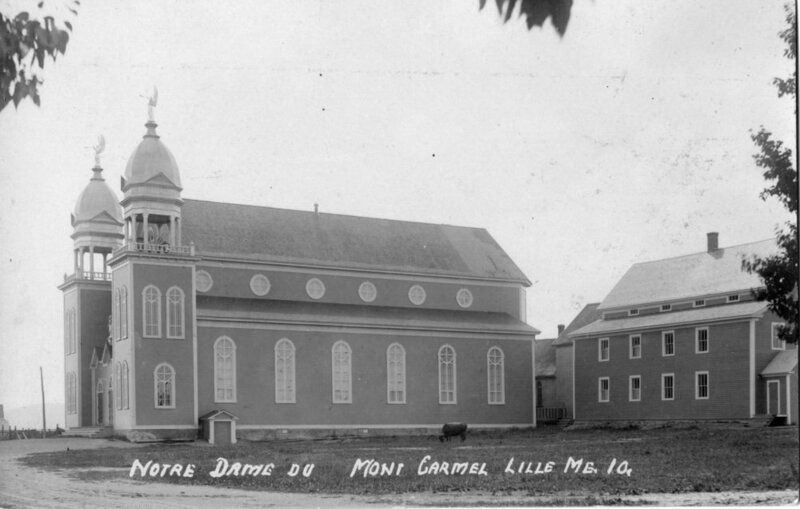 The parish developed in response to the influx of French Canadian mill workers during the mid-nineteenth century. Constructed in 1881, the parochial school was for many years a focal point for Westbrook’s immigrant community. 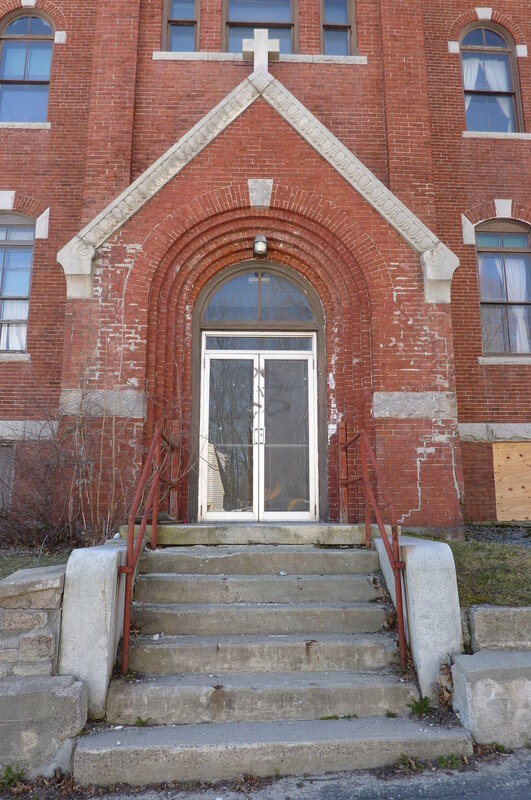 The school building was replaced in 1893 with a new structure designed by Coburn & Son of Lewiston. A convent, designed by Timothy O’Connell of Boston, was added in 1921. 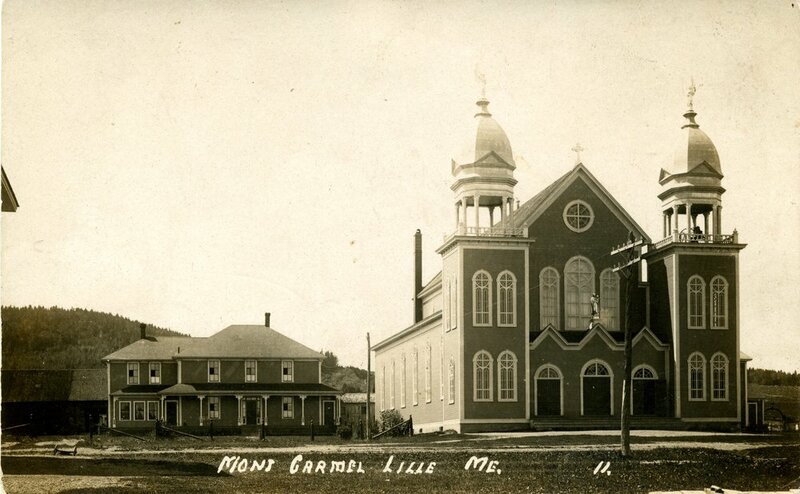 The completed complex grew to include a church, rectory, and garage. 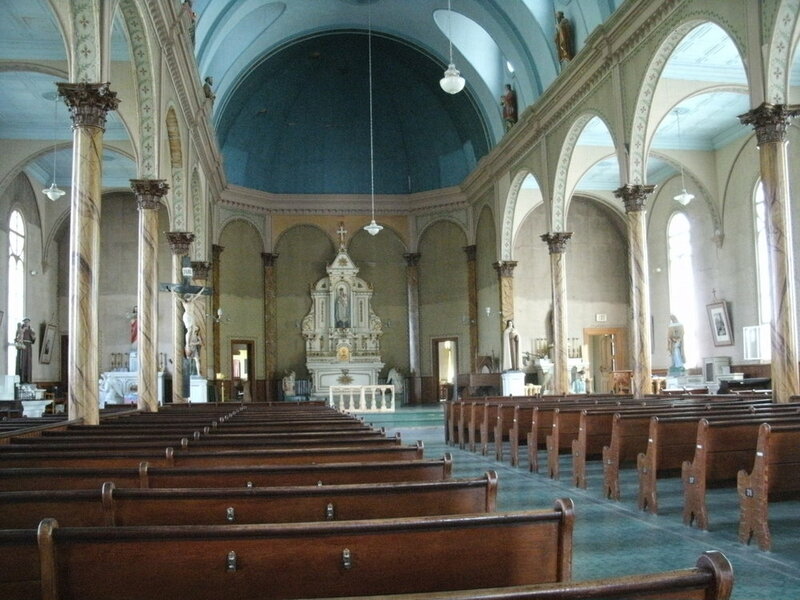 The parochial school closed in 1974 and became a Center for Religious Education. The convent was converted to a House of Prayer. But after 10 years, use of the buildings decreased. 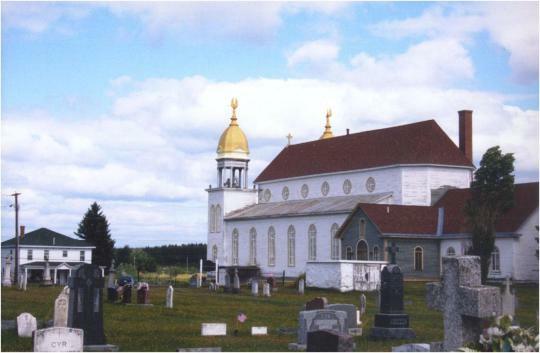 In 2011, the buildings were found eligible for listing in the National Register of Historic Places and, in turn, qualified for Historic Rehabilitation Tax Credits. Avesta Housing, with Kevin Bunker and Jim Hatch of Developers Collaborative, LLC, began the planning process with Archetype Architects of Portland. The creation of additional housing in an existing residential area would both benefit the residents of Westbrook and utilize these important local buildings. Virtually vacant at the beginning of the project, the school building had suffered deterioration caused by years of roof leaks, which led to slow rotting of many framing members, buckled wood floors, and weakened plaster walls. Investigation of the school showed that it had also been burned in a fire and not properly repaired. The convent suffered similar deterioration, including masonry that was spalling severely. In planning and design, the challenge was to retrofit large classrooms and small nun’s quarters to meet modern residential requirements. During the rehabilitation project, completed by Portland Builders, the major scope of work included exterior masonry repairs on both buildings, window restoration and replacement, and retention and maintenance of a large inventory of historic trim elements and pressed metal ceilings. The two buildings on the site were rehabilitated to include 23 housing units. In the school building, the basic plan was retained along with central corridors and stair towers. The convent offered a more complicated existing plan, but was modified without the loss of important character-defining spaces. 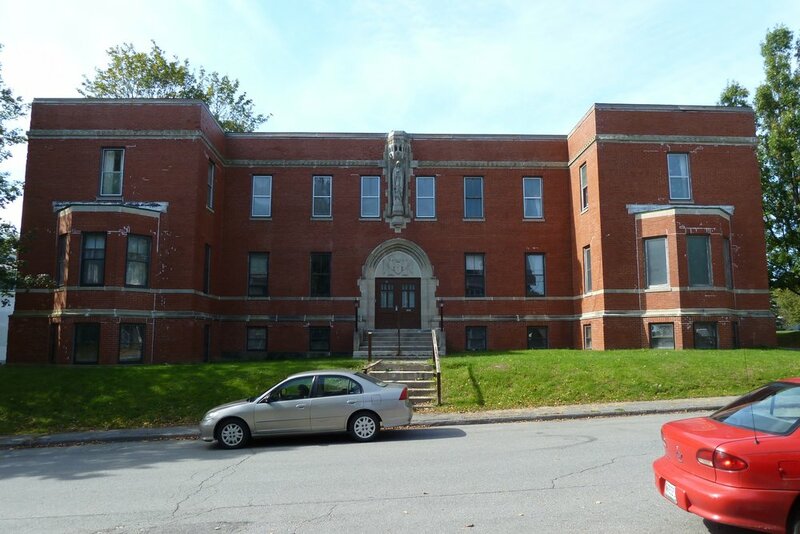 The rehabilitation of the St. Hyacinth School and Convent created affordable housing within an existing residential area and utilized historic buildings once central to the community there. 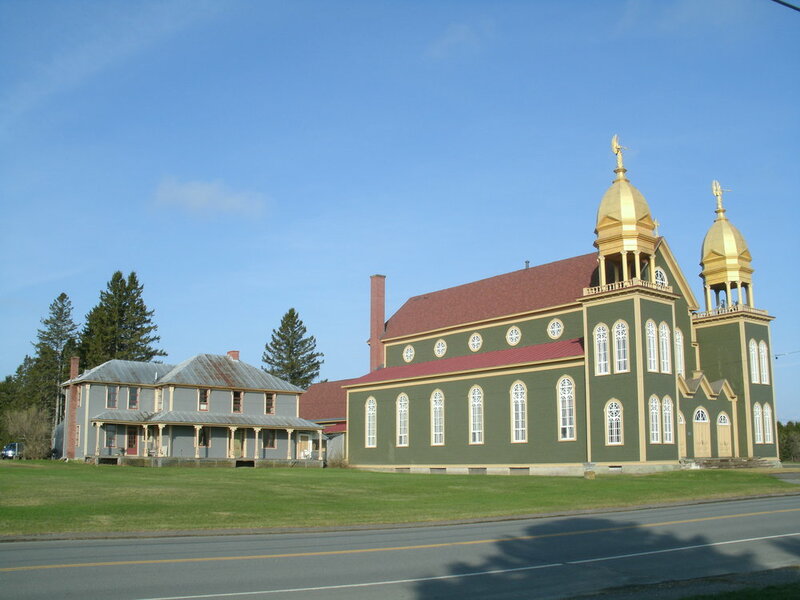 For this outstanding work, Maine Preservation is pleased to present the St. Hyacinth project team with a 2014 Honor for Adaptive Use.